I have just created a new form but its not delivering the submission to my e-mail address whereas I have other forms associated to same e-mail address and they are working fine which means I have whitelisted your IPs already.. Whereas old forms still working fine whereas new form submission are only visible on jotform panel whereas I'm failed to see their delivery to my e-mail.. 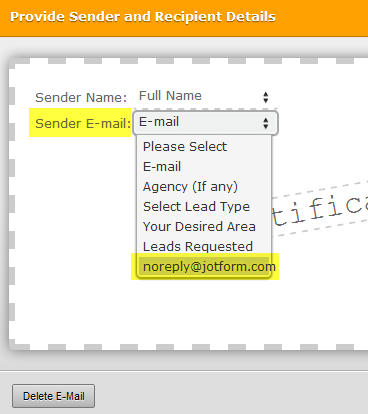 Note, Junk mail and everything is checked ..
Could you please try with noreply@jotform.com Sender E-mail address to see if that makes any difference?